Do I need a childbirth education class? Like any other physically and mentally demanding life event (preparing for a marathon, a mountain climb, etc.) we do a lot of work preparing ourselves beforehand so that we can have the best outcome possible. Childbirth, one of life’s most physically and emotionally demanding acts, requires the same amount of importance (if not more) to be placed on the preparation leading up to birth. You only give birth to this child once, no redos, preparation is key. The importance of childbirth education and preparation cannot be overstated! Taking a good comprehensive childbirth education class can set you up for not only a healthy pregnancy but the best birth experience and outcome possible. It’s a key piece to the pregnancy and birth puzzle, a vital part of your prenatal care. Good childbirth education helps you be an informed and an active participant in your pregnancy and birth. It gives you the confidence to make informed decisions that are a good fit for you, your pregnancy, and your baby. Do your research and find a class that’s a good fit for you and know you’ll do great mama! In-Hospital Childbirth Class: You’ll learn hospital procedures and policies, typical hospital birth interventions, what to expect, you’ll learn the hospital’s process of managing labor and birth. Not all hospital classes are the same, some teach you how to cope with labor discomforts while others just give you information on medical procedures and medications. Comprehensive Childbirth Class: If you’re serious about setting yourself up for the safest, best birth outcome possible a comprehensive childbirth class is the way to go! Taking a comprehensive class, independent from the hospital (so it’s not restrictive on what can and cannot be taught), will help you feel confident and empowered to make informed decisions on your care. In a good comprehensive childbirth preparation class, you will learn not only how to have a healthy birth but to have a healthy pregnancy. You’ll learn tips on how to keep yourself at the lowest-risk possible and how to avoid common pregnancy and birth complications. You’ll learn how to set yourself up for the best birth possible by giving you information and resources for not only pregnancy and birth but for postpartum as well. A couple of examples of good comprehensive classes are the Bradley Method and the gold standard: Birth Boot Camp. Technique Childbirth Classes: Some classes focus on teaching certain techniques on how to deal with labor discomforts. A couple of examples are Lamaze which teaches breathing techniques and HypnoBirthing which teaches self-hypnosis. Weekend Childbirth Workshops: These are great if you’ve reached the end of pregnancy and need a little extra information to help you or your partner feel confident during labor and birth. 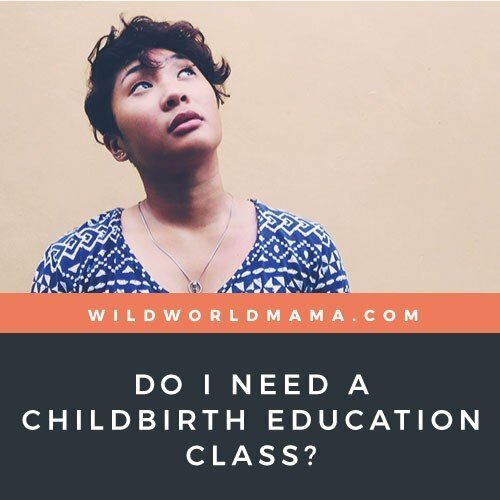 A weekend workshop is not a substitution for a good comprehensive childbirth education class but is great for those situations when it’s too late for one, you want to take it just as a refresher, or as a supplemental class to another class you’ve taken. Birth Boot Camp offers an awesome comfort measures workshop as well! The Gold Standard: Why take a “comprehensive” childbirth class? Here are some situations during pregnancy and birth when having a good childbirth preparation class under your belt, proves to be an incredible value. It prepares you for situations when there are tough decisions to be made during labor, birth, and immediate postpartum. You’ll have someone informed on your side (your instructor) that can provide support and information. You learn various comfort measures to help you in both pregnancy and birth. You learn the stages of labor, variations in labor and birth, and what to expect. You learn tips on how to encourage healthy labor progress. You will gain nutrition and fitness knowledge to encourage a more comfortable, healthy and low-risk pregnancy. You learn about postpartum topics like breastfeeding and newborn care. You get to know other expectant families locally which often builds community and provides future support for you, your baby, and family after birth. New parenthood can often be lonely, it’s really hard. Having a local support group can be extremely beneficial. You get easy access to good local professional referrals! Your instructor will most likely have a list and inside knowledge on who you can turn to in your area. It helps dad or your partner understand what you’re going through during pregnancy, birth, and postpartum and know what to do to help. Becoming informed from a good independent, comprehensive childbirth class can help protect you and your baby from a broken maternity system. It will teach you about common birth interventions and the risks, benefits, and alternatives to each. It can take the fear out of birth and give you and your birth partner confidence in you and your ability to birth your precious baby. Why birth matters and why adequately preparing for it is important. Birth matters so much. Good or bad, it can set the trajectory of how your postpartum period can go. Birth is transformative, not only is a child being born but a mother (and father) as well. 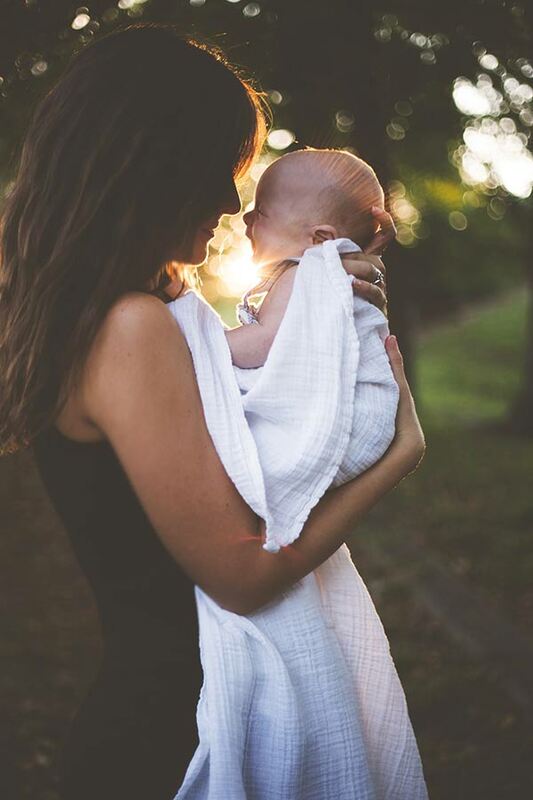 The power you can tap into from act of childbirth can unleash a whole new world of self-love and confidence that follows you into parenthood and all other aspects of your life. What happens during birth, emotionally and physically, can affect breastfeeding success or struggles, personal confidence, healing for both you and baby, and so much more. Being informed during your pregnancy and birth and being a part of the decision-making process can help you process your birth and see it as an amazing experience regardless if everything went according to plan or not. Birth can set you up to be empowered and confident as you embark upon the very rewarding and important, but exhausting work of parenthood. Whether your birth ends up being vaginal or abdominal, being informed and feeling like you had a say in your care is so important in giving you the confidence to trust in yourself as you embark upon this wild world of parenting. Childbirth education can give you that information and confidence so you can empower yourself in pregnancy, birth, and beyond. Know you’ve got this mama and you’ll do great!